Parties agree to arbitrate disputes because, among other things, arbitration can be quicker and more flexible than judicial proceedings. This leads to advantages that all parties desire: decreased costs and better predictability of outcome. However, problems arise in domestic and international arbitrations that may defeat these advantages. As this article explains, well thought‐out and effective arbitration provisions can significantly reduce the incidence of these problems. While primarily relying on specific examples from the U.S. domestic sphere, this article also applies to the international sphere unless otherwise indicated. 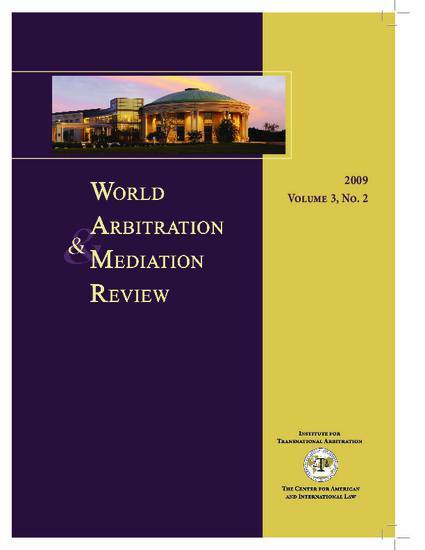 The core assertion of this article is this: instead of cutting and pasting boiler‐plate arbitration clauses into contracts, one should identify in advance as many details as possible, including, inter alia: (A) the scope of the arbitral agreement; (B) decisions as to substantive and procedural choice‐of‐law; (C) the chosen institutional rules and the administering institution; (D) the location of the arbitration and the venue for confirmation of the award; (E) whether significant access to facts will be needed to establish claims; (F) available remedies, fees and expenses; and (G) limitations of grounds for vacatur. Our goal is to aid the practitioner in identifying and addressing as many questions and issues as possible during the process of drafting an arbitration clause, so as to avoid costly confusion and conflict later. Our focus is therefore on the questions, more than the answers. Various rules and examples are offered to help refine the drafter’s inquiry and define the possible universe of drafting choices, but this discussion is far from exhaustive. Practitioners must always keep in mind the opportunities for and limitations on their drafting as defined by the dispute, the parties and the specific rules of the administering institution. Pamela Fulmer, Noel Rodriguez & M. Anderson Berry, Goodbye Boiler-Plate: Practical Advice for Drafters of Domestic and International Arbitration Agreements, 3:2 WORLD ARB. & MEDIATION REV. 149 (2009) (Available at: http://works.bepress.com/m_berry/6).